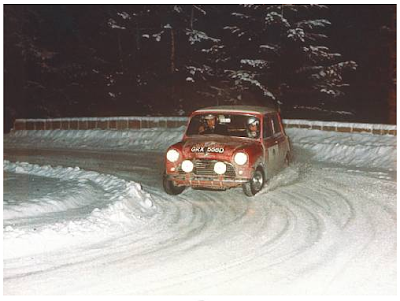 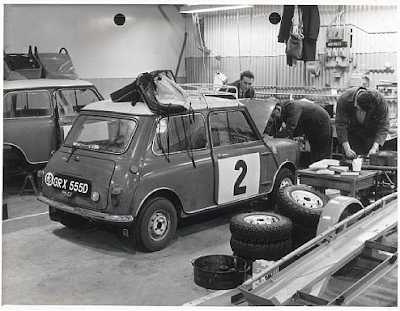 The Ex-BMC Factory Team 1966 Monte Carlo Rally (Timo Makinen) and 1966 Polish Rally (Rauno Aaltonen) Mini. 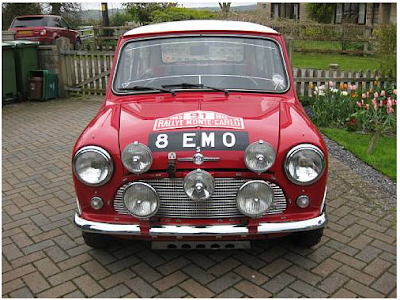 As kids, these rallying Minis made a phenomenal amount of sense to us as they seemed to be scaled for us. 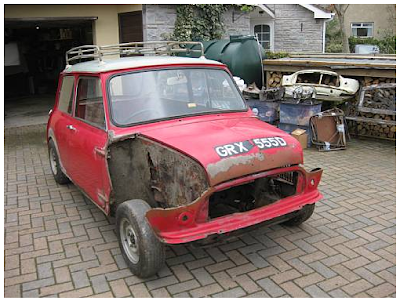 A wonderful opportunity - read, '"project" - as the car is partially disassembled.